Over the years I’ve been fortunate to be able to use some of the best optics made. Usually, that top shelf includes Zeiss, Leica, and Swarovski. Generally, I’m the type of hunter who is in the timber, tight to what I’m hunting. 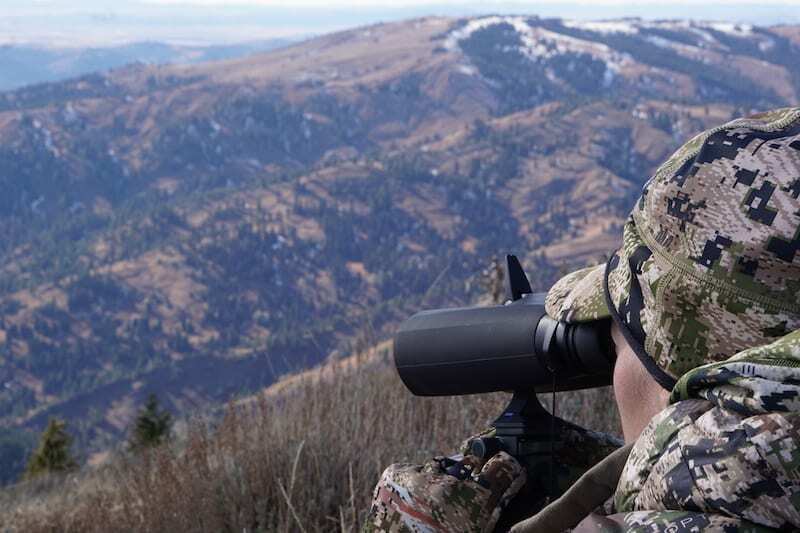 When a last-minute Idaho mule deer hunt fit into my schedule this past fall, I jumped on it. Lucky for me, Rokslide needed a set of 15×56 bino’s reviewed. 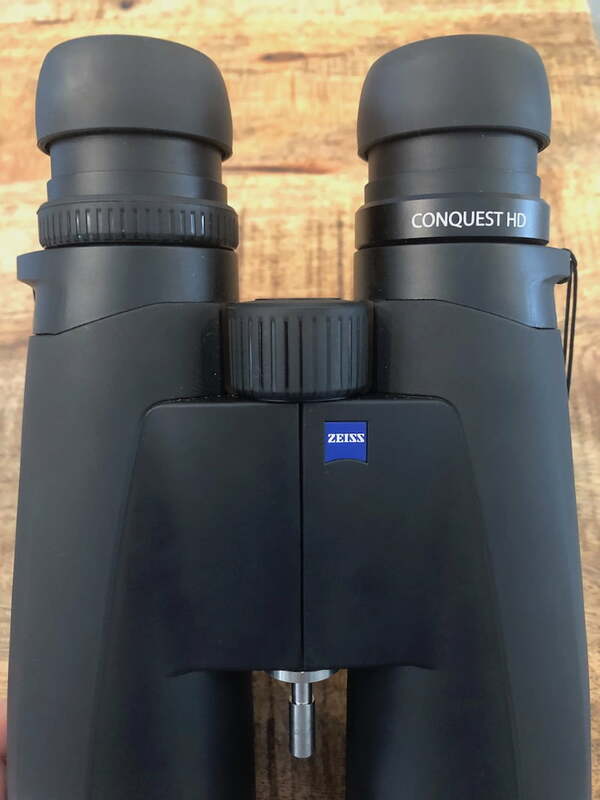 Que the Zeiss Conquest HD 15×56. Although they’d be perfect for my mule deer hunt, I planned on using them for my other species’ hunts too. Right off the bat, I was impressed with the packaging presentation. 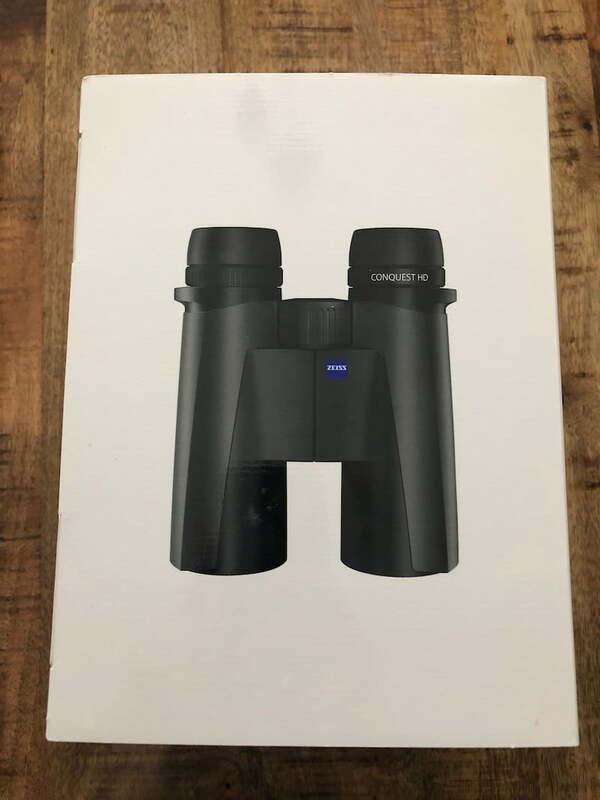 Does it add any value to the binocular itself, absolutely not, but it sure does add to the total experience. Well done. 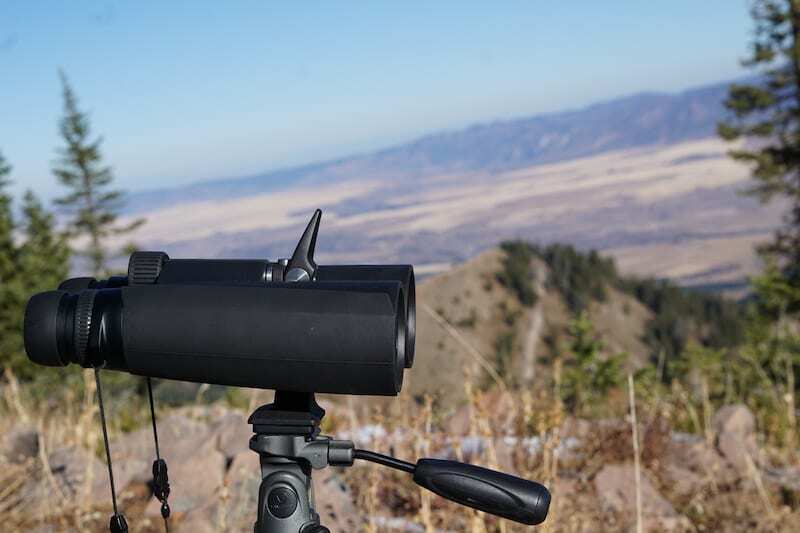 As this was my first set of high-power tripod mountable binoculars, I was about to jump head first into something I knew nothing about; but between high-end spotters, binos, and rifle scopes, I knew I had the optics needs covered. Some long-range reconnaissance was about to take place. My season started with archery elk season in early September on a Wyoming mountain. I packed in the Zeiss Conquest HD 15×56’s, a pair of Leupold 10×42 BX-5, and a Leupold RX-1600i rangefinder. I knew, for the most part, I would be in tight and not need the high-power glass, but I wanted to be able to use it in some situations if given the opportunity. I’m glad I decided to take them, even though on the pack-in I was questioning it. They are listed at 45.7 ounces. With the tripod adapter and case, they are closer to 56 ounces. On the first morning just after daylight, I spotted a herd of elk high above me, just about at treeline. They were a long ways, and the 10x showed a couple of bulls, but I couldn’t see any details. Shooters or not? It took a couple of extra minutes, but I pulled the big 15x out and steadied them on my bow. A little shaky, but I could now see the frames on those bulls, and one of them was big. The 15x told me what I needed, it was time to climb. I found that as the hunt progressed, I started to leave the big bino’s in camp, it was just too much weight for the return I was getting on them. They had their place, but dark timber archery hunting was not it. Once I tagged my Wyoming bull, I was back home for 10 days. I would repack for Idaho mule deer and head West again. If you followed along on Another Season you know this would be my first rifle hunt out West, my first mule deer hunt, and my friend Jenn’s first with a rifle and for mule deer. Our plan was to put these big binoculars to the test, and that we did. For this trip, we packed the same optics but also threw in a pair of Zeiss Victory SF 10×42’s and a Swarovski HD 65mm spotting scope. We threw the Conquest’s and the spotter on the tripod and then had the 10x’s chest mounted. It was a good set-up. We could glass quick and close with the 10x, then switch to the tripod mounted set-ups if we needed a close look at something. Once we reached the edges of the 10x range we switched over to the tripod mounted glass. Here we picked the nooks and crannies, peering into the shadows of the early morning, looking for movement of those feeding bucks. As the sun got high and then progressed into afternoon and evening, it becomes a total game of the tripod-mounted optics. We spent hours breaking down the shadows. It was tedious looking for ear flickers, antler tips, and tail wags. Although these were tripod mounted for 90%+ of the trip, the feel is worth noting. Right out of the box I could see and feel the body armor. It is a nice soft and warm feel. The tapered body has a hinge mounted focus knob. This knob really jumped out at me. It was smooth and fast, needing little effort to readjust. This allowed quick, easy movements, to refocus as animals were spotted. Very convenient. The tripod adapter sits at the other side of the hinge. The diopter was a little different though. Located in front of the right eyepiece, it’s a no click, non-locking adjustment. The ring on this particular set was very tight. It definitely needs to be tighter than the main focus knob so as not to be inadvertently moved, but this was too tight for my liking. Light transmission is quoted at 93%, due to the Abbe-Konig prisms. The eyepieces are rather large 25mm lenses that yield a nice almost 70-degree field. The eyecups themselves have a very nice, appealing feel. Easy to sit behind for hours. Although rotationally they seemed choppy throughout the different adjustment locks. The view is excellent. Sharp and detailed, with good brightness at first and last light. During the heat of the day, per typical, the heat waves were noticeable. Not unexpected. 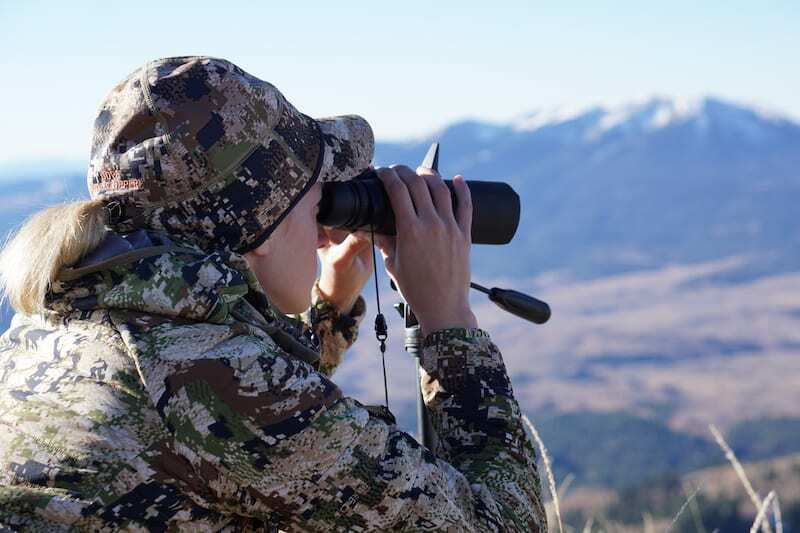 In the evenings, the binoculars definitely increased our number of spotting minutes, penetrating the shadows and adding precious time to spotting those reclusive bucks. 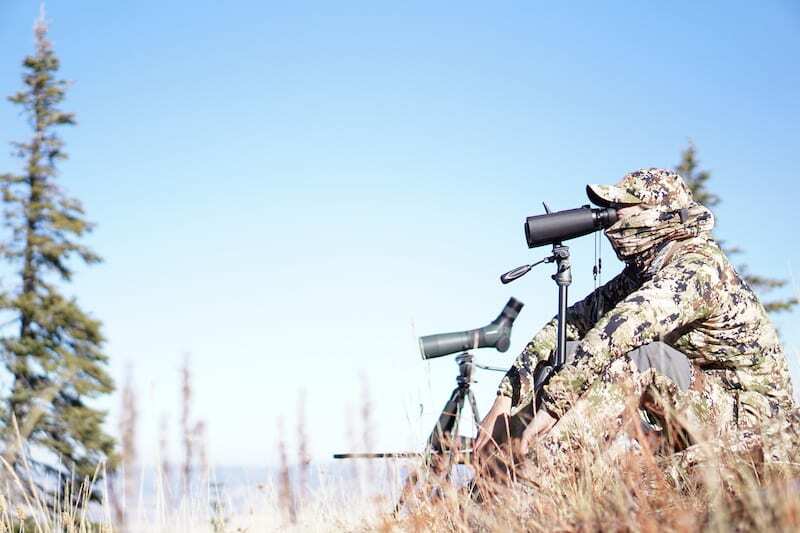 We spent a lot of time behind those binos over that 8-day hunt. Although we didn’t punch tags, the binoculars left us feeling comfortable that we didn’t miss anything. It was nice to be able to break up sitting beyond a spotting scope, with the dual eyepiece of the binoculars. It would allow the eyes to rest a little. Next up would be a West Kansas whitetail hunt. I do believe I found the perfect use for these binoculars, although heavy, the Kansas terrain was the ideal use. For miles, there was nothing but open, rolling terrain. 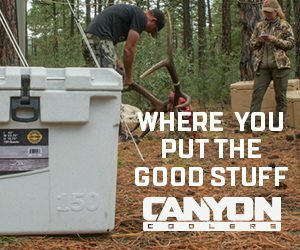 Lots of hills, coulees, and draws filled with sage, brush, and a lot of space for big whitetails to hide. While in Idaho they worked well, but there were many times when the 15X couldn’t cover the distance that the terrain allowed us to see, so we would have to jump behind the spotter. Kansas, on the other hand, was built for this setup. There were times where we would drive and glass right from the truck. Mostly though these worked great for glassing those long ravines that had multiple coulees winding up out of them. The deer were bedding in these areas and then working up to the tops, or out of the bottoms. With the Zeiss Conquest HD 15×56 mounted on the tripod, I could glass those distances 200-1200 yards really well. After spotting them, I could also then determine if they were of enough quality, to want to put a stalk on. I’ll definitely run a setup like this anytime I do that hunt or a similar hunt in the future. These are an excellent binocular. Having never used 15x, I wasn’t sure what to expect. 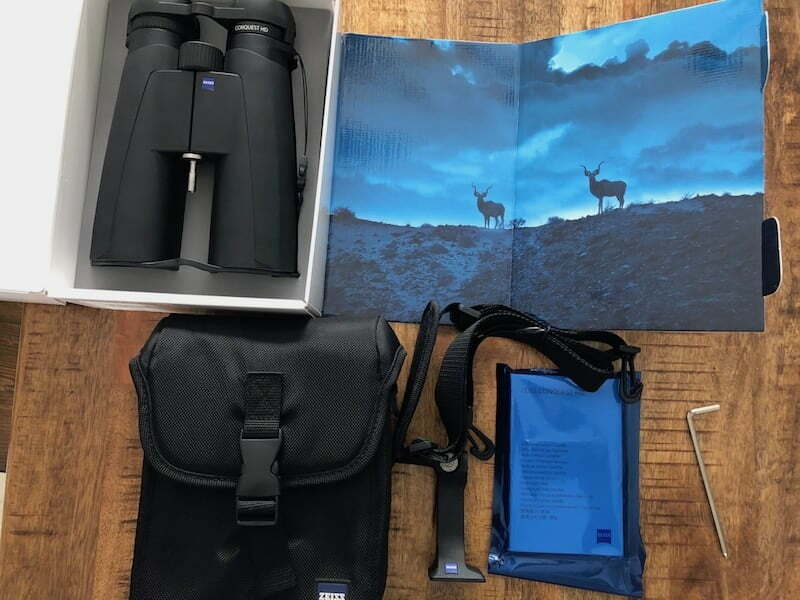 Having used Zeiss binoculars in the past, I had a preconceived expectation of the quality. I wasn’t disappointed. These provide a great view at this power, with excellent edge-to-edge, lowlight optical clarity. The body armor is comfortable and easy to hold, and the focusing knob was smooth, fast, and easy while holding. The eycups are removable for easy ocular lens cleaning. The prefered method is washing away the field debris under running water. Another nice touch is the included tripod adapter, for where these binoculars really shine, on the tripod. Really the only downside that I found with them is the weight, although the Zeiss Conquest HD 15×56’s are comparable in weight to the competitors in this platform. 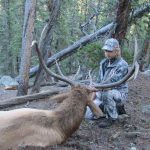 For someone like me who cuts and trims ounces in every imaginable area, the three-plus pounds is a tough pill to swallow on a backcountry hunt. It’s a non-issue for a base camp hunt. Even the $1,799 retail price set on these isn’t really a downside. You get what you pay for in optics, and I think this is a good price on a great binocular. 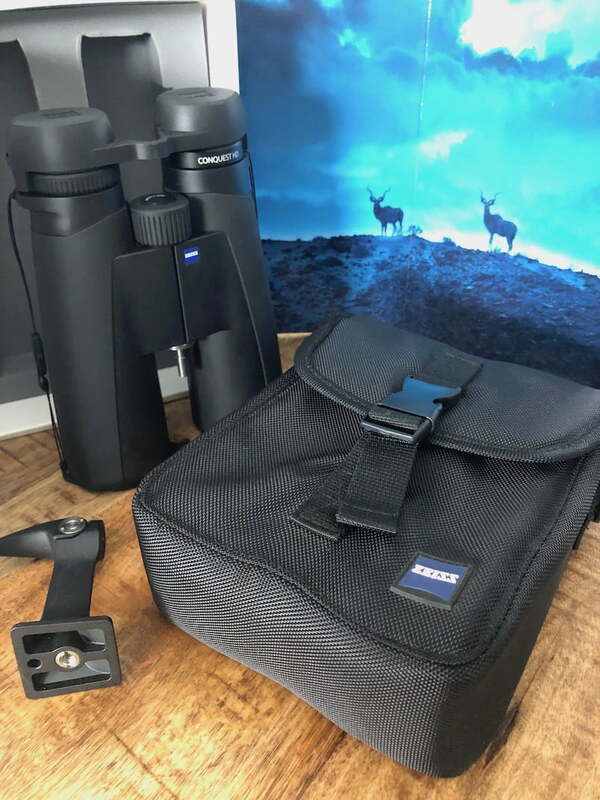 More info available on the Zeiss Website.